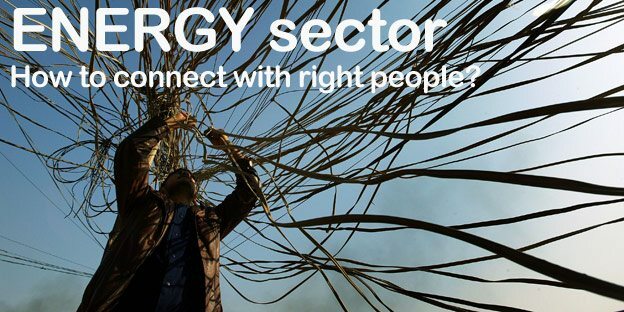 How to connect with professionals in ENERGY sector? Home / Technical Articles / How to connect with professionals in ENERGY sector? There are many ways to engage in ENERGY Sector, some of them are shown below. Today, with just an internet connection it seems that finding suitable group of people gathered around ENERGY SECTOR is easy. Maybe is sounds like it is, but it ain’t easy just like that. There are many groups and websites that does the same thing, but without a real value. I would like to present you some of the most usefull and valuable groups on LinkedIn that gather electrical engineers from all around the world. So, what these groups cover and what they do? Well, people involved in many aspects of energy like electric transmission and distribution, power substation engineering, electric construction and operating professionals in the electric power industry, high voltage – are sharing their expirience and knowledge, asking questions and getting answers from professionals. I know that some people use LinkedIn to find a job, and if so, or you’re looking to change the current job and do something exciting in your life, these groups offer many opportunities to improve your job and career. One note… if you don’t have LinkedIn account, that’s not the problem. You can make it in few seconds, all you need is 2 minutes of your life and maybe a good black coffee :) To create your LinkedIn account, plese visit http://www.linkedin.com and simply signup. This group is for electrical power engineers to meet, network and coordinate efforts to advance electrical power engineering technology, skills, techniques, and tools throughout the world. This group welcomes individuals interested in sharing, developing and fostering innovative solutions in energy management. This is not an employee only group. This group is created for Professionals and Engineers who work or want to work global in the Energy sector. Including Oil&Gas, Renewable, Green Energy (Wind, Solar, Bio), Mining, Nuclear, Power and Marine. This group has been formed to bring together all professionals having experience in EPC business, Sales & Marketing/ Business Development in Energy/ Power sector or anyone else who wish to make their career in this industry. This is the largest group of strictly transformer professionals. This is not a group of Human Resource professionals or recruiters. If you are looking for a group that is made up of the people that are in the industry this is the group for you. Recruiters nor HR will be accepted. Transformer transformers, the largest LinkedIn group for transformers, key place to get quick and reliable answer about transformers from 5000+ experts & professionals from transformer industry, OLTC, bushing and other supplying industries, transformer monitoring, diagnostics and testing industries, power utilities hv hvdc etc. For IEEE, IEC, IET (IEE) and Cigre members, as well as professors and students. Energy University is a unique e-learning program that offers free education on topics related to energy management and monitoring, identification and measurement of energy consumption, and ways in which individuals can impart change to any environment. This is quite an exhaustive list. It’s great. Would like to know if there are similar groups on Twiiter as well? You’re welcome Irina! You can send me the brief description of above mentioned group and will publish it. Go ahead and contact me on https://electrical-engineering-portal.com/contact for more details. I believe that 1 click may change our lives. Thus; I recommend you to Join and Share your ideas. Doubtless – joining, meeting and sharing experiences will enable you to meet with experienced, qualified and high level professionals. Well, this is what I did previously. Presently, I have numerous contacts from all around the world..
Great work Ozgur! Keep on working on all of your groups!